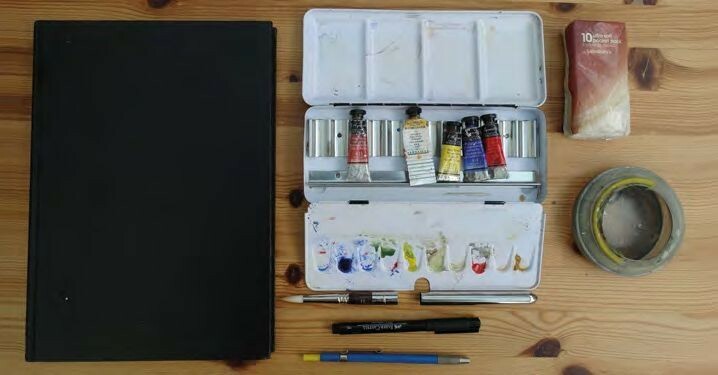 My pen & wash kit To keep everything streamlined I prefer a limited palette of five tubed colours, contained within a pressed-steel Sennelier palette. 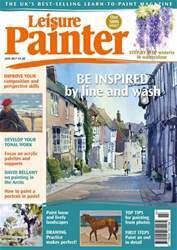 The colours (all Sennelier) are French ultramarine blue, French vermilion, primary yellow, yellow ochre and Venetian red. The travel brush is a Jackson’s No. 12 Arctica. This is a large synthetic brush, which comes to a good point and is handy for large washes and detail. If a smaller size brush is needed then a natural hair brush will give the best service as it is so much more absorbent than synthetic. Water is carried in a small bottle or sourced nearby. I carry a small collapsible water pot as a container.